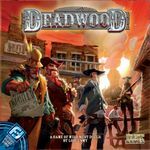 Check out my shop at BoardGameBoost.com! Some great games on sale here that just don’t hit the table enough in my group to warrant keeping. This auction is for the continental United States (CONUS) only. My apologies to the worldwide gaming community. All games are listed with their respective minimum starting bid. There are no reserves, but bidding must start with the minimum bid amount. Bidding less than that amount will prove futile and bring shame to your family. This is a true auction - there are no BINs (Buy It Nows). All bids must be $1 or more, and must be in whole-dollar increments. Bid by making a comment on the item you are bidding for. FREE SHIPPING! Again, auction for CONUS only. All shipments will come with a tracking number, shipped via either UPS Ground or USPS Priority. I cannot be held responsible for any issues a game encounters on its way to you after it’s left my hands. I will ship items with care but if you want to be extra sure and put insurance on your package I will do so at winner’s expense. Local pickup is also an available option - please state in your bid if that is what you intend to do. I’m in the Allentown, PA area. All transactions will be completed in the BGG Marketplace to provide BGG with its 3% share. All payments must be made via Paypal, unless picking up in person locally, in which case you have the choice of Paypal or cash. Serious bidders only. Upon winning an auction, payment is due within 7 days or item will go to the next highest bidder. Items will be shipped to winning bidders after full payment has been completed. Auction will end at 9:00pm EST on October 30, 2013. Anti-snipe rule: Any bids made within the last hour of the auction (that is, between 8:00pm and 9:00pm EST on 10/30) will extend bidding on that item for 2 hours from the timestamp of the last bid. If another bid is made within that 2-hour period, it will extend for another 2 hours from the last bid timestamp. This will continue until a bid remains highest for 2 hours after it is made. If an item is not closed at the official auction end, please consider each item to close automatically 2 hours after the last bid timestamp; bids entered after that will be invalid. Any items without bids will be closed on October 30, 2013, at 9:00pm EST. All games come from a smoke-, pet- and child-free home. Specific game conditions are listed in the item descriptions. Games are sold as described. No refunds or returns. I reserve the right to remove any items from the auction. I have no intention of invoking this right, but here it is just in case. Please feel free to geekmail me if you have any questions about anything. Thanks for looking, and happy bidding! Winners can expect geekmail in the near future with the marketplace listings and payment instructions. 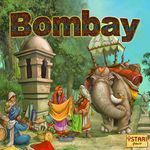 Bombay is a beautiful game that's great for family play. 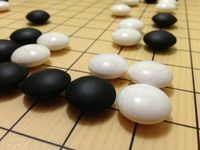 Easy to learn and plays quickly. Played three times, everything in excellent condition. Rules book has very minor crease in it (visible in picture). Played three times, all components in excellent condition. Played a handful of times, all components in great condition. Cards are sleeved. Box top corners have some slight wear. Back of box has an indentation. Box insert has one corner with very minor damage. All are pictured. Played once, all components in excellent condition. Comes with some petri dishes for easy fuel token organization, as well as some handy printed game aids created by fellow BGG users. 3rd Edition. Played only twice, all components in excellent condition and nicely bagged. Box has two extremely small damage points: a small nick on the front left edge, and some minor edge tearing on the inside corner. Both are pictured.